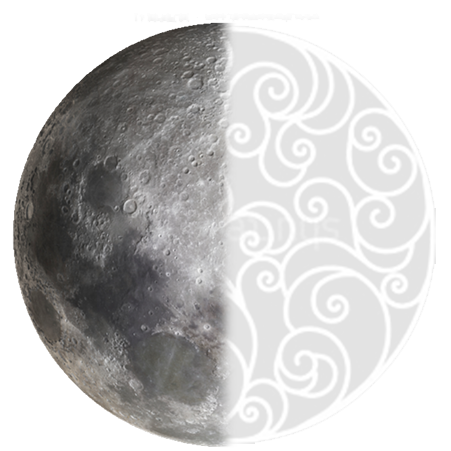 While children of the Waxing Crescent cling to the past out of fear, children of the Third Quarter Moon hold onto the past out of love. You have a quality about you that seems slow, almost frozen in time. While you have no fear of the present or future, you tend to get deeply attached to things, people, places - and while that means you’re exceedingly talented at finding meaning and happiness in life, even the smallest things, this tendency can also prevent you from moving on when you need to. While you are immensely loyal and kind, your love of looking back on the past can blind you to the joys of the present. Other people may find you absentminded and rude, as you’re always off in your own little world, thinking about happy events that happened days before, or internally giggling at old jokes that you’re reminded of. While reminiscing can bring you happiness and deep, long-lasting relationships, you are also more prone to unhealthy rumination, as you are unable to let go of grudges and unpleasant events in the past. You must learn how to recognize when your rumination is hurting your mental health, and try to take productive lessons from past events before letting them go. The present is just as deserving of your love and attention as the past.